Nearly Wild Camping is a network of diverse locations (mostly across the UK) offering Nearly Wild Camping experiences. They are all much more than a place to sleep, offering the chance to explore where you are through guided walks, star gazing, badger watching, having a go at some regular onsite tasks (from feeding the chickens to carving a spoon), cooking up some homegrown veg on your campfire and much, much more. This is where every location is different, each with its own unique feel and experiences to offer, from family farms to nature reserves and hilltops smallholdings to riverside woods. At the same time Nearly Wild Camping is a collection of location owners supporting each other towards a common purpose of making more of their living from the land and sharing its magic with others. The emphasis is on integrating Nearly Wild Camping experiences into activities and interests already onsite and encouraging campers to make the most of other opportunities in the area. As it grows this network has the potential to not only be able to share fixed costs through group discounts and access a huge network of people to market to between them, they can also share their learning, pool advice and good practice, and support each other through regular meet ups and communications. This is why we are a co-operative, because all of the members – campers and locations – are working together for everyone’s (and nature’s) benefit. The main shared service is an online directory of the locations and experiences with comprehensive details of the facilities available, what is wild about the experience, what else is on offer, photos and feedback. If you get in touch with Nearly Wild Camping Lee Barton is the person you are most likely to communicate with. 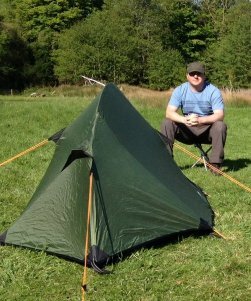 He is a keen outdoor and camping enthusiast, looking after the admin and marketing side of Nearly Wild Camping. Lee has a history of hiking, fishing, cycling, camping and more, plus online retail experience of expedition foods and camping accessories. 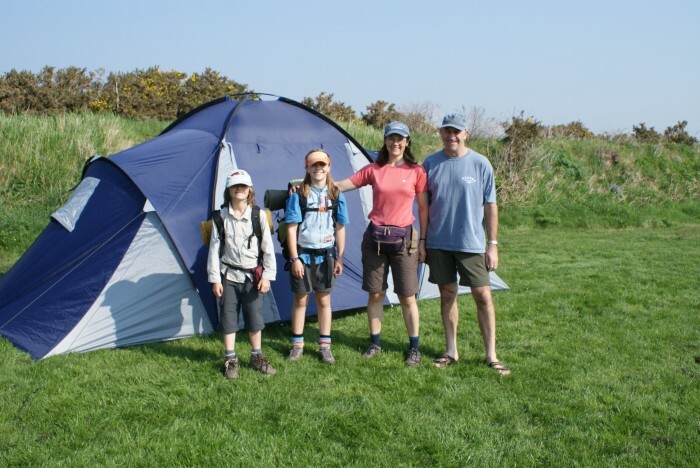 Steve and Irene Evison and Kerry and Arran their kids, are still very much involved in the management and evolution of Nearly Wild Camping going forward and have given lots of their ‘spare’ time and money in order to see this happen. The Evisons are an outdoor lifestyle family who make the most of every place they visit – be it climbing, cycling, paddling or just walking, they have had many adventures both individually and as a family.